THAT the allmediascotland.com directory is both doing its job, but could be more comprehensive than it currently is, was illustrated by two telephone calls received last week by the site. First, business writer and lecturer, Francis Shennan, was approached by a company looking to hire a writer with an understanding of law and IT. Shennan’s profile in the directory fitted the bill and he was therefore contacted. Shennan then phoned us at allmediascotland.com to tell us how effective his directory had been. Second, a golf website, www.golfalot.com, phoned on Friday to ask about possible presenters of a regular golf news video they are planning to launch. 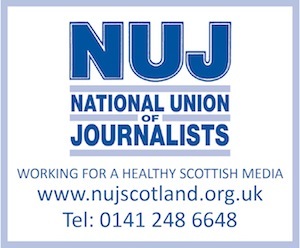 But there are more presenters – established, new and wannabe – in Scotland than there are in the directory.